Too many workers leave the labour market permanently due to health problems or disability, and too few people with reduced work capacity manage to remain in employment. This is a social and economic tragedy common to virtually all OECD countries. It also raises an apparent paradox that needs explaining: Why is it that the average health status is improving, yet large numbers of people of working age are leaving the workforce to rely on long-term sickness and disability benefits? 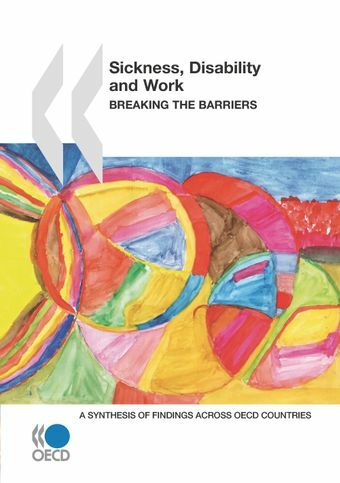 This report, the last in the OECD series Sickness, Disability and Work: Breaking the Barriers, synthesises the project’s findings and explores the possible factors behind the paradox described above. It highlights the roles of institutions and policies and concludes that higher expectations and better incentives for the main actors – workers, employers, doctors, public agencies and service providers – are crucial. Based on a review of good and bad practices across OECD countries, this report suggests a series of major reforms are needed to promote employment of people with health problems. The report examines a number of critical policy choices between: tightening inflows and raising outflows from disability benefit, and promoting job retention and new hiring of people with health problems. It questions the need for distinguishing unemployment and disability as two distinct contingencies, emphasises the need for a better evidence base, and underlines the challenges for policy implementation.